I’m very excited to announce that Barry Hutchison’s hilarious fantasy, The 13th Horseman, has won the Older Reader’s category of the Scottish Children’s Book Awards. 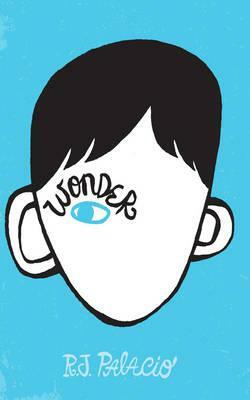 I was really hoping that it would win as it’s such a fantastic book and Barry’s a great author. When The 13th Horseman was released last year Barry made some very cool videos for the launch that we had in Christchurch. You can watch the videos and read my review of The 13th Horseman here on the blog. To celebrate Barry’s award win I’m giving away 2 copies of The 13th Horseman. All you have to do is enter your name and email address in the form below. Competition closes Friday 15 March (International). Wrap up a box of children’s books that your kids have outgrown and get them in the hands of children who could really use a book or two. See my posts about donating to New Zealand charities KidsCan or Duffy Books in Homes. I’ve cleaned out my bookcases of books I no longer need and bought a heap of new books to send to these charities on they day. Along with my library colleagues I’ll also be donating some nice new picture books to the doctor and dental surgeries in our community. If you’re a school you could hold a special mufti day to raise money or gather books to send to Beckenham School in Christchurch, who recently lost their school library in a fire. A Free Post address is being set up for schools who would like to send books for Beckenham School free of charge. Whatever you’re planning on doing for International Book Giving Day it would be great to hear all about it. You can join the International Book Giving Day Blog Hop to share your plans. Let’s get books into the hands of the children in New Zealand who need them the most. Shrunk! is the wacky, weird and wonderful new book from debut children’s author, F.R. Hitchcock. It’s also one of the first titles published by a fantastic new UK based publisher, Hot Key Books (check out their other fantastic books on their website). You can read my review of Shrunk! here on the blog. To celebrate this wonderful book I’m giving away 2 copies. All you have to do to get in the draw is add your name and email address in the form below and I’ll chose two lucky winners. Competition closes Wednesday 3 October (International). Tagged as competition, F.R. Hitchcock, Fleur Hitchcock, Hot Key Books, International competition, Shrunk! If you haven’t discovered Cat Patrick yet this is your chance to get your hands on two books from an amazing new author. I’ve just read Revived (you can read my review here) and Forgotten was one of my favourite books of 2011. In Revived, Daisy and her family have to relocate to a new city or town every time she is revived. To go in the draw to win a copy of Forgotten and Revived leave a comment with your name and email address telling me What city would you relocate to if you were Revived? Competition closes Monday 7 May (International). Thanks to everyone who entered. The winner is Melannie. 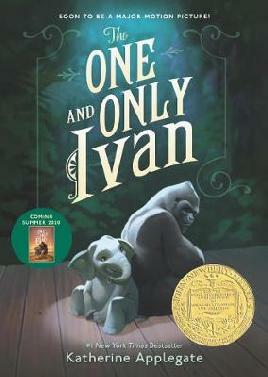 If you’ve read my review you know that I LOVE The Only and Only Ivan by Katherine Applegate. I want to spread the love so I’m giving away 2 hardback copies of this wonderful book. To get in the draw, all you have to do is leave a comment on this post (along with your name and email address) telling me a fact about Silverback Gorillas. You could either tell me your fact or you could post a link to an interesting Silverback Gorilla video on YouTube. Competition closes Friday 10 February, 2012. This competition is now closed. Congratulations to Sandra and Anita.